Celebrate the 50th anniversary of Johnny Cash's legendary performances at Folsom Prison with this limited edition collectible. On January 13th, 1968, Cash performed live before an audience of prison inmates and guards at Folsom Prison. 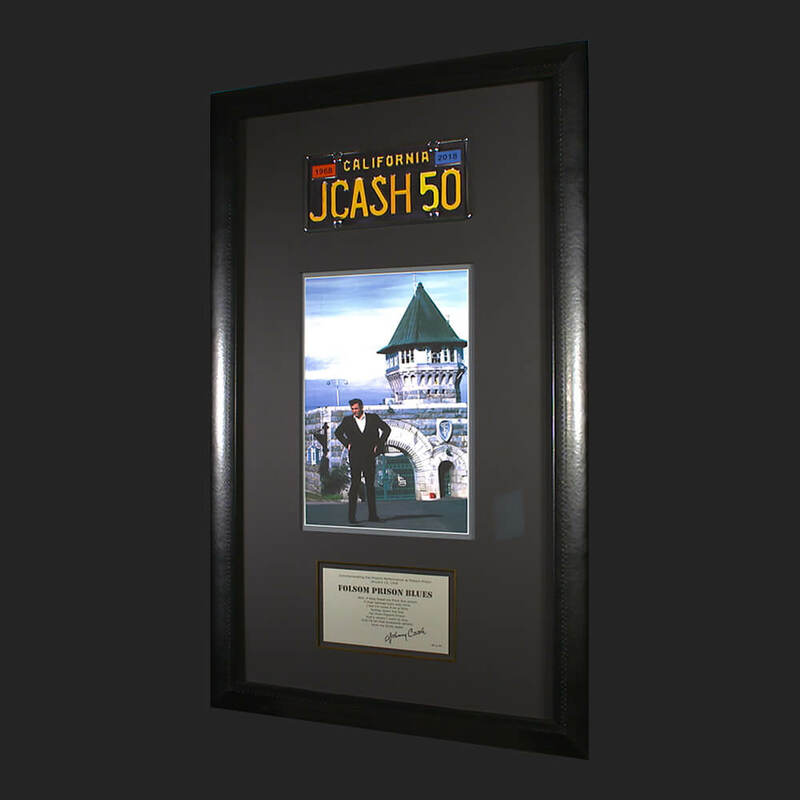 Now you can commemorate this historic event with this officially authorized JCASH50 collectible. 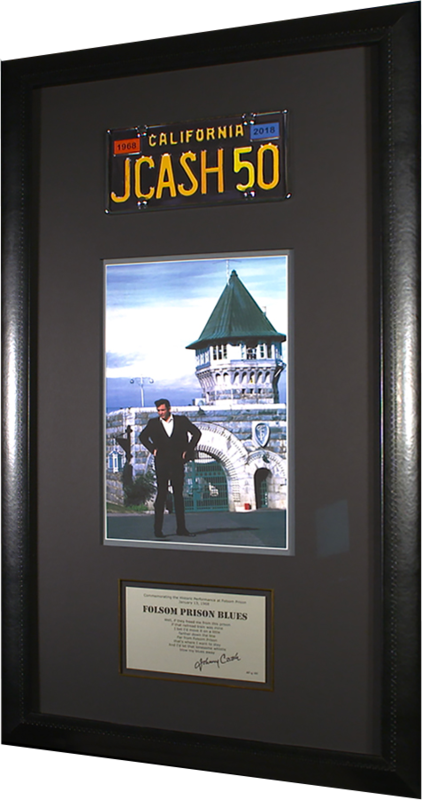 Each limited edition collectible features a classic California license plate manufactured inside the Folsom Prison manufacturing facility along with an iconic picture of Cash in front of the prison on the morning of his performance. Only 100 will be made; this limited edition collectible won't last long. Get yours today for $2,950 and be a part of the legacy. All proceeds benefit the Johnny Cash Trail project in Folsom, CA. Order yours today!